Brand new elephant painting, out now. Introducing ‘Hold On’ - a tender painting by Sian Storey channeling the sadness and fragility of life, and the unbreakable bond between mother and child. Painted on a 50 x 70cm canvas, this is a stunning one-off piece of artwork. 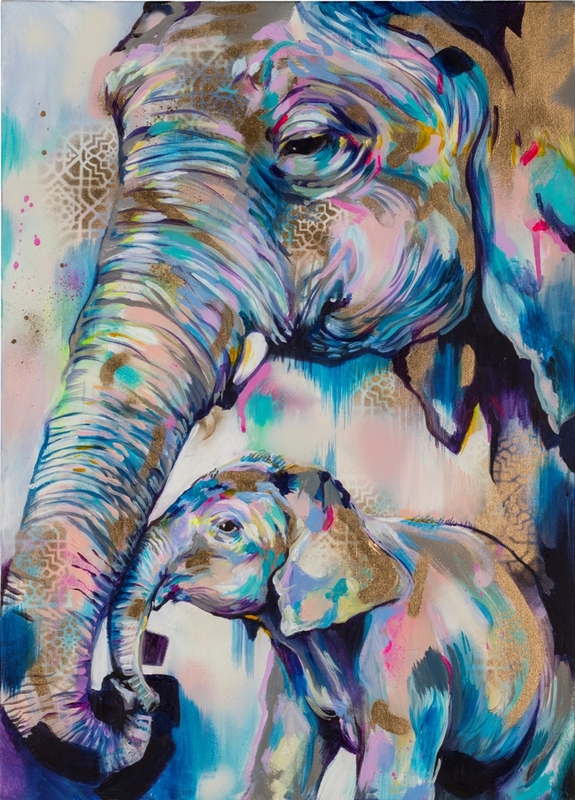 Sian used acrylic and spray paint to create this vivid elephant painting. Sian's rich colours, stencilling and shimmering gold spray paint give this painting an ethereal feel.